A sophisticated vest has the ability to complement any ensemble, create a seasonal look, or differentiate between Staff positions. Complete your look by adding a vest, fully customizable with color, fabric, trims & buttons, embroidery and more. 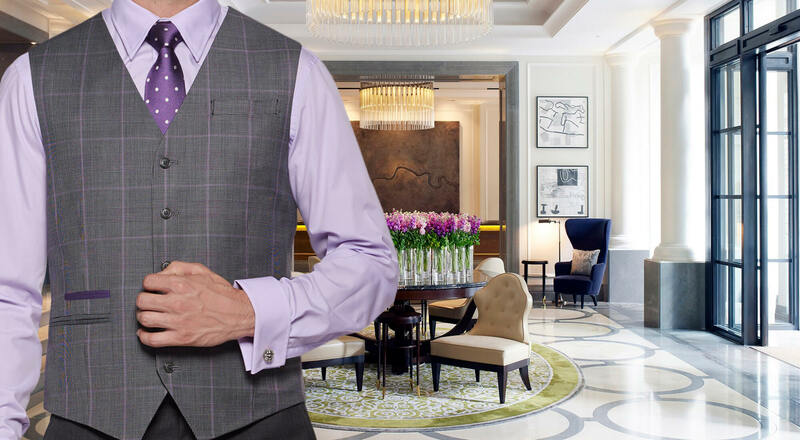 A tailored Doorman vest can be used as a great stand-alone piece, is perfect for seasonal wear, or can be added to compliment any existing program.